You’ve Got Plenty Of Things To Occupy Your Time. 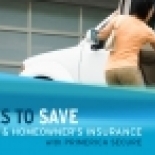 Shopping For Auto And Homeowner’s Insurance Shouldn’t Be One Of Them. * The Average Annual Savings On Auto Insurance Is As Much As $478! Save On Auto And Home Insurance With Primerica Secure in New York is a company that specializes in Legal Services. Our records show it was established in New York.